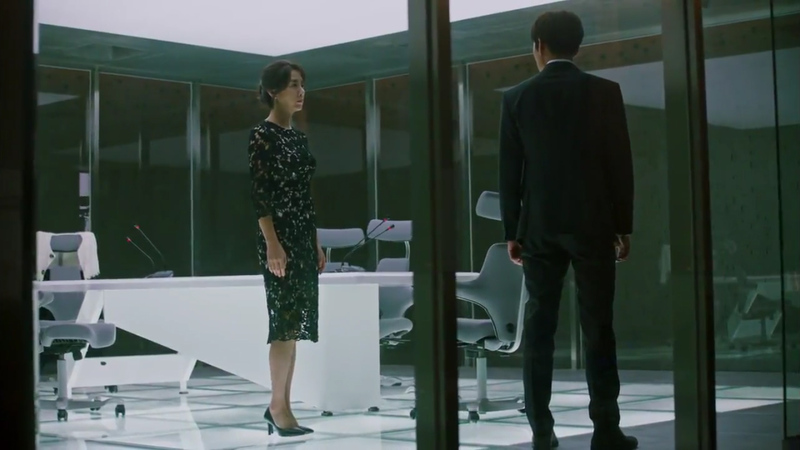 In the battle for power and control, it would be something quite different if Choi Sung Won just stood by and allowed Choi Yoo Jin to run the show when he held a weapon as powerful as Ko Anna to use against her. A simple man wanting Ko Anna to act like a shield against threats from Choi Yoo Jin is a lie. Ko Anna is not a shield, but a sword. Choi Yoo Jin’s been asked to do an interview to answer questions about how she came to take in the daughter of a famous movie star and film director—two people who she supposedly had no connection with until recently. To make sure the situation is portrayed exactly how she would like it to appear, she expects the interviewer—Ji Yeon—to follow a script. 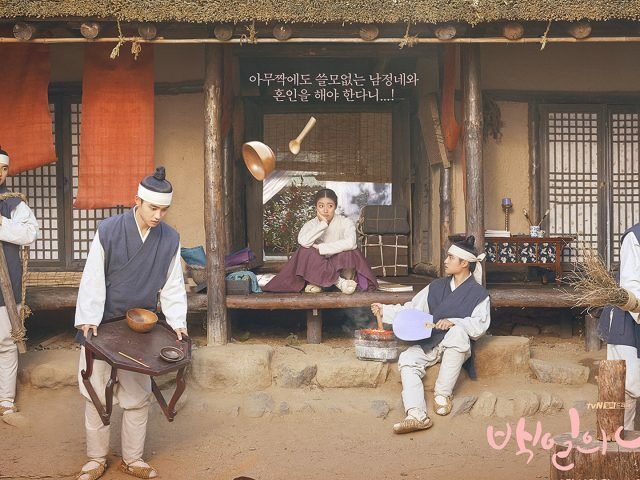 Ji Yeon does, but the details in the script are used against her. Ji Yeon is not on the side of Choi Yoo Jin. Choi Yoo Jin is someone Ji Yeon is forced to obey because her son is under the watchful eye of Choi Yoo Jin. We all know what happens to loved ones when Choi Yoo Jin’s orders aren’t obeyed. But, it seems she’s been approached by Choi Sung Won and is now working with him on his plan to use Ko Anna against Choi Yoo Jin. After some faked tears from Choi Yoo Jin and a deliberate cut to break, Ji Yeon turns the interview against Choi Yoo Jin. Choi Yoo Jin’s claim of a close relationship having existed between her and Ume Hye Rin is used to lead towards bringing out Ko Anna to contradict her in front of live TV. As a close friend of Ume Hye Rin, Choi Yoo Jin should know Ume Hye Rin and fashion designer, Jean-Paul Lafelt, were close friends. However, when asked about the friendship, Choi Yoo Jin maintains the movie star and fashion designer didn’t know each other. Enter Ko Anna to contradict Choi Yoo Jin. To make Choi Yoo Jin look even worse, Jean-Paul Lafelt’s recorded video message to Ko Anna is used to verify the friendship status between Ume Hye Rin and the fashion designer as well. Contradicting Choi Yoo Jin and catching her out is only a small part of the attack, though. The main attack is Ko Anna’s call to the audience to come forward if they had any contact with her mother in the days leading up to her suicide. The call immediately creates suspicion with the studio crew that maybe the suicide was not a suicide as reported, but murder. This is not good, because if the studio crew picked up this train of thought then it’s very likely the general public will, too. The interview ends and Choi Yoo Jin is left with thoughts that maybe she’s handled this whole situation with Kim Je Ha all wrong. She had left him alone after he planned to expose Ko Anna’s existence to the world. And what did it get her? This kind of trouble. And so, in not so many words, Choi Yoo Jin agrees to Chief Kim’s comment about killing Kim Je Ha. It’s an order which Choi Yoo Jin let stand only for a short time, though. Just before she heads off to the prosecutor’s office to greet Jang Se Joon following his expected release, Choi Yoo Jin has second thoughts about the order and revokes it. 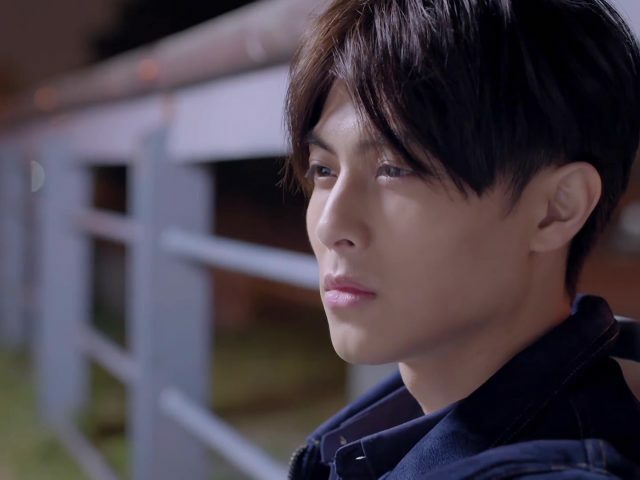 The U-turn is suggested by Chief Kim to be because Choi Yoo Jin likes Kim Je Ha, but it might be about the email Kim Je Ha has set to send the moment Choi Yoo Jin acts against him. It could also be what Choi Yoo Jin says: Kim Je Ha could still be of use later despite all the trouble he’s caused her. Whatever it is, it’s held Choi Yoo Jin back from seeing through the command. Email or no email, of use or of no use, Chief Kim doesn’t care. 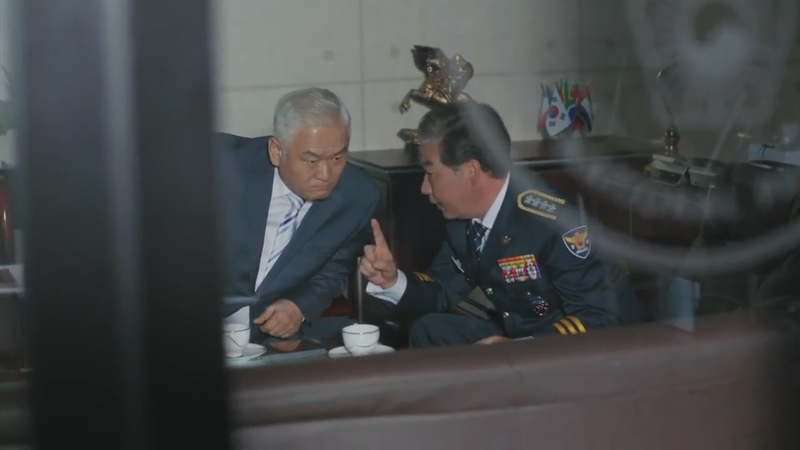 Chief Kim’s long thought Kim Je Ha (as well as Ko Anna) should have been taken out. She’s been watching Choi Yoo Jin restrain her fury and injure her hand because of Kim Je Ha’s insubordination throughout the last few days since media conference outside the secret house. Chief Kim’s not been impressed. 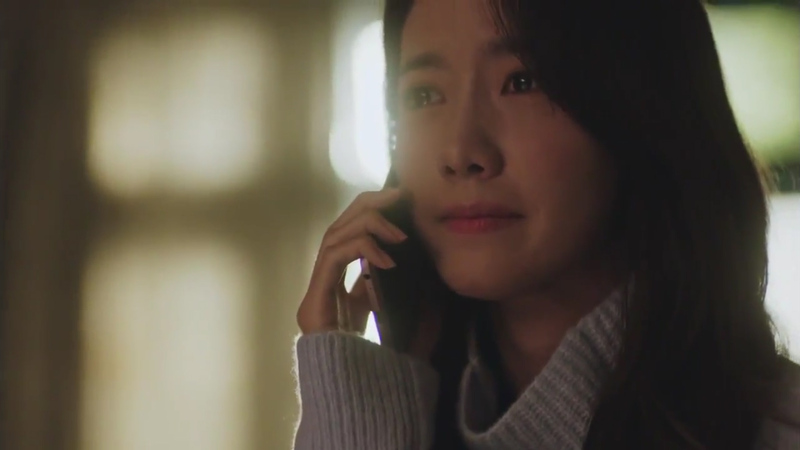 So, with plans already set, she goes against Choi Yoo Jin’s order and goes ahead as planned. “It’s time to put Madam and Anna back in their proper places now. Those who are to live, must live; and those who must die, must die.” Chief Kim tells Kim Je Ha over the phone. The floor Ko Anna is taken to for a photoshoot after the interview fills with nerve gas. Ko Anna had been made to escape through the ventilation ducts quickly after Kim Je Ha realised there were men out to kill her. He had thought Choi Yoo Jin was behind the act, but soon realises it’s Chief Kim when she wouldn’t hand the phone over to Choi Yoo Jin. He tries to get her men to stop, but obviously, there was no chance of that happening. It was up to Kim Je Ha to fight his way out of this one. 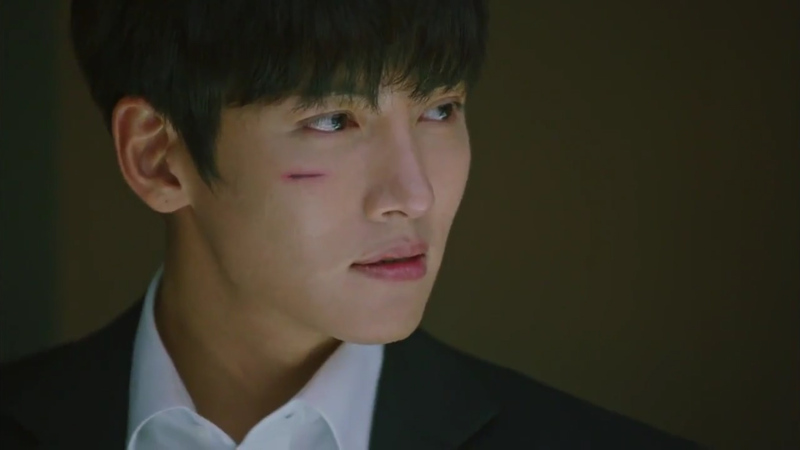 He probably could’ve followed Ko Anna up the ventilation ducts, but then we’d miss out on this episode’s fill of action scenes where Kim Je Ha is faced with a band of attackers. He faces two groups. The first, he takes down and manages to grab a gas mask off one of the men to make his way down the hallway to face the second group of attackers. He only manages to take out half of them before he is sent sliding across the floor from a strong kick following the loss of his gas mask. He was very close to being done for, but Ko Anna appears before him from up in the ventilation duct and knocks out one of the two men left with a fire extinguisher. The second ends up going after her. Fortunately for her, Kim Je Ha regains consciousness, possessing just enough energy to disable the last attacker before collapsing again. 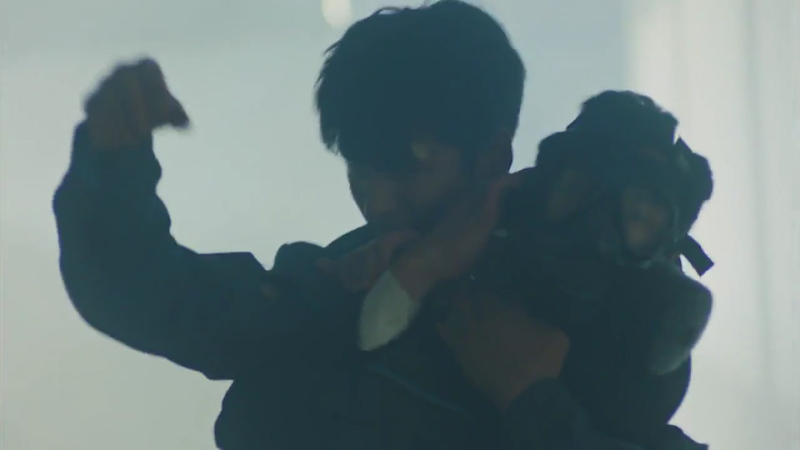 Ko Anna grabs a gas mask to put over Kim Je Ha before she follows suit and collapses. 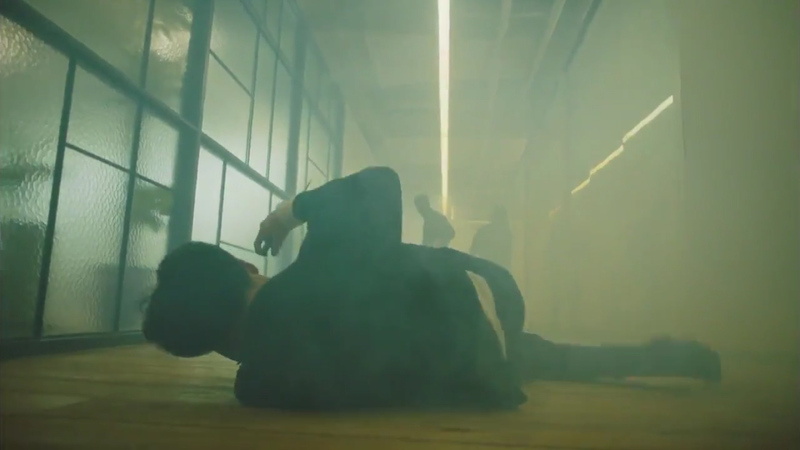 The nerve gas doesn’t seem to have had a serious impact on Kim Je Ha and Ko Anna as they are seen to have regained consciousness the next scene. Kim Je Ha fills Choi Sung Won in about Chief Kim being behind the attack and suggests returning to the secret house as he sees it as their safest option: Chief Kim wouldn’t attack JSS there. Choi Sung Won agrees. Back to the secret house they go. Kim Je Ha and Ko Anna’s first kiss makes it’s way in next. The return to the secret house has Ko Anna unsettled. What’s Kim Je Ha’s solution? Envelop them both in a blanket he takes off from her lap after helping her out of the car which creates a nice private space where they are hidden away from the watchful eyes of the CCTV cameras and other JSS agents. It also gets them only a couple of tempting inches from each other whenever Kim Je Ha turned to ask her how she was doing and when Ko Anna turned to say she was still feeling scared about the return. The two manage to resist the temptation the whole walk to the door, right to the point of entering the house (arrival points which we don’t actually see as the whole scene is shot under the blanket). The entire trip into the house, Ko Anna maintained feeling scared. She doesn’t appear that way, though. It’s obvious she has been saying this in order to stay under the blanket with Kim Je Ha. The whole time Kim Je Ha spoke, she was also staring at his lips. She wants to kiss him, or be kissed by him. Kissing Ko Anna seems to be on Kim Je Ha’s mind, too, as he was also leaving lingering stares at her lips the whole trip into the house. 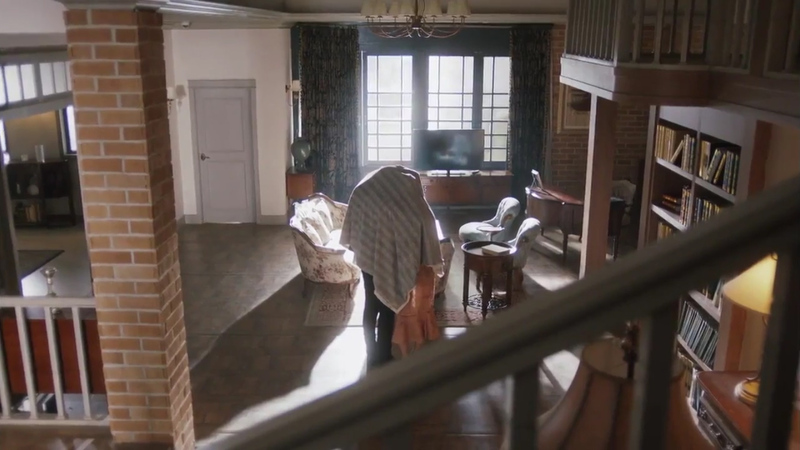 Standing in a room inside the house, under the blanket and hidden from the view of Jang Mi Ran, J1 and the maid, Kim Je Ha leans in to kiss Ko Anna. It’s quite an interesting way to bring a kiss in, isn’t it? We sometimes find that kiss scenes stick out like sore thumbs in action dramas. Previous episodes built up the feelings just enough and this scene created the right situation to not make watching the lead-up to the kiss awkward or cliché. We did think the use of the blanket to calm Ko Anna a bit odd, but we’ll think of it simply as Kim Je Ha using any means to get close to Ko Anna. : oD : oD. Meanwhile, on Choi Yoo Jin’s side, another attack has been thrown her way. This time, from Park Kwan Soo. The all-clear that she expects Jang Se Joon to receive doesn’t go through. Her people confirms the documents that were prepared for investigation were all clean, but somehow, Prosecution has found something to detain Jang Se Joon for a more thorough investigation. That ‘something’ has to do with Park Kwan Soo having played his trump card. What that is, isn’t clear. We do have our guesses, though, and we think it might have something to do with the three assemblymen who were on Park Kwan Soo’s side and were taken in during the investigation. 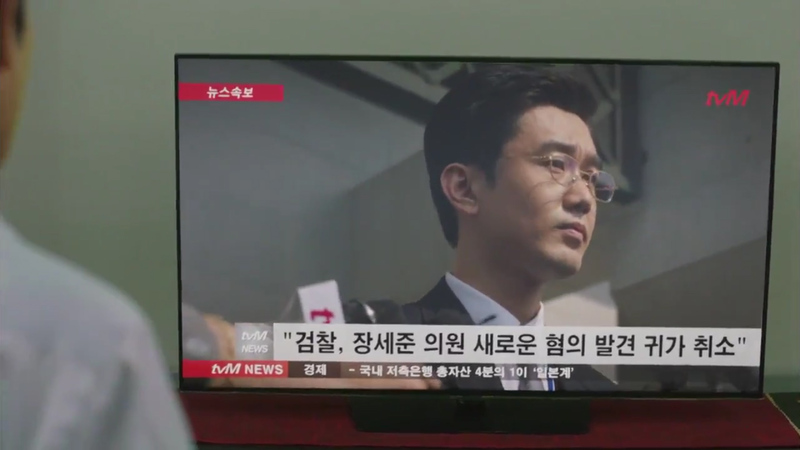 After reviewing the options with her team consisting of the president, Chief Joo and Chief Kim, Choi Yoo Jin agrees to making the move to take out Park Kwan Soo. Choi Yoo Jin initially questions whether it is possible to do so at this time, but the president assures her that it is possible especially with a special someone on their side to do this. He’s referring to Kim Je Ha. Kim Je Ha is called to Cloud Nine (which takes place after returning Ko Anna to the secret house). He is briefed on the plans for him to kill Park Kwan Soo and explains to him that it’s very likely he won’t come back alive. 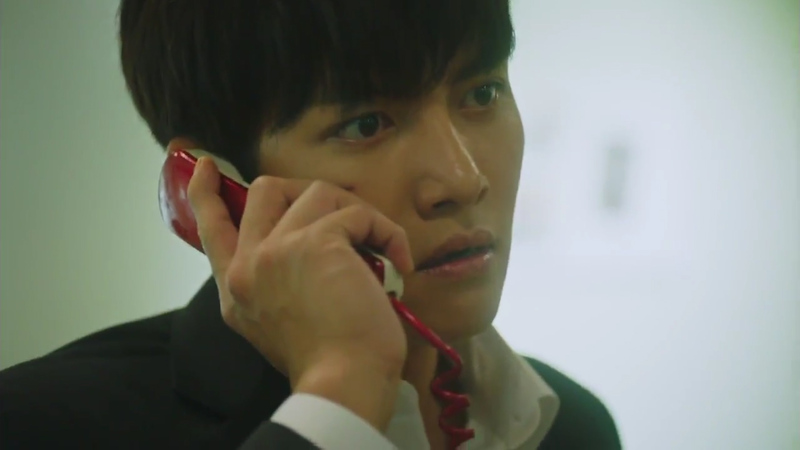 Despite the threat to his life, Kim Je Ha accepts the job without hesitation. However, he does have conditions that must be met. He tells Choi Yoo Jin the first one is she must leave Ko Anna alone. In exchange, he will make sure Ko Anna is out of her way. Choi Yoo Jin agrees to this. 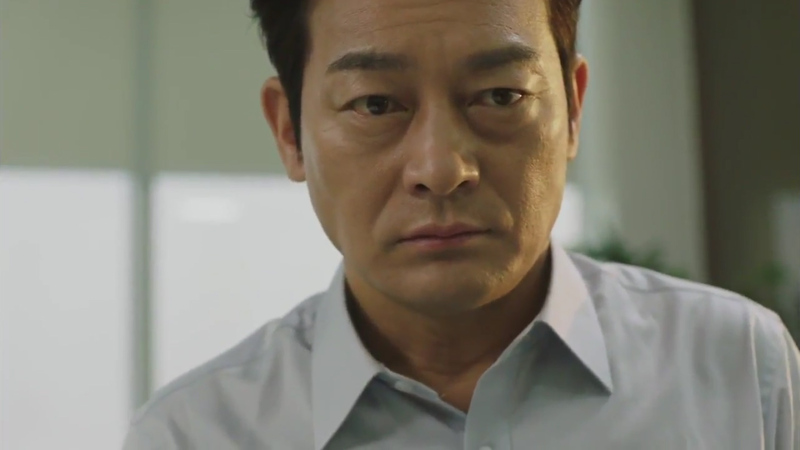 His second condition is that Chief Kim’s head is offered in exchange for Park Kwan Soo’s head. The loyal Chief Kim agrees to the condition when Choi Yoo Jin seeks her response. However, Chief Kim does demand that she will only offer her own head when Kim Je Ha brings Park Kwan Soo’s head to them first. The last one is he is offered the JSS Offensive Team, which is also granted. Conditions all discussed and agreed, the meeting ends. Choi Yoo Jin holds Kim Je Ha back for a moment. She appears to be worried for Kim Je Ha and let’s him know that it is okay to abort the mission if he finds the situation too dangerous. Does Choi Yoo Jin say this because she really sees Kim Je Ha as a friend now and really has grown to like Kim Je Ha as Chief Kim suggested earlier? Or is her concern all about the email? There was a sign that it might be the former when Choi Yoo Jin waved away the need for access to the email when the president causally asked for them. But she could also be just putting on a front, or maybe she fears he’d use Kim Je Ha’s video recording against her. It’s strange to the president mention about the email when Choi Yoo Jin hasn’t. He’s been shown to be wavering between Choi Yoo Jin or Park Kwan Soo in the last few episodes. 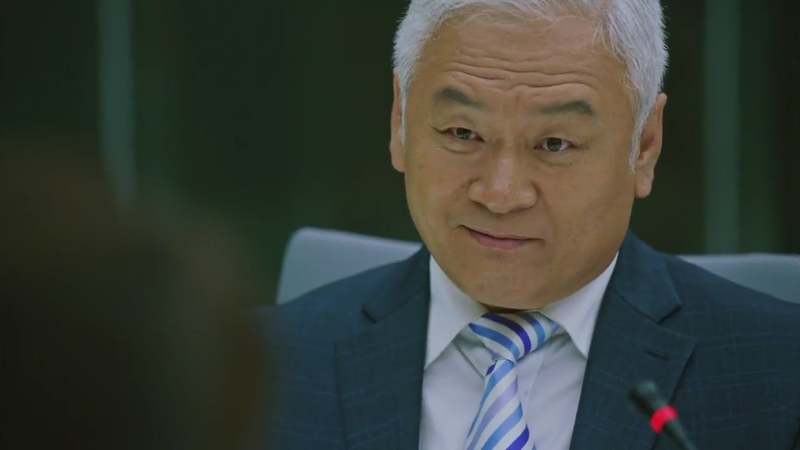 He’s been talking to that Chief of Police a lot and seems to have gained some information from him about Jang Se Joon seemingly from the allegiance the Chief of Police has with Park Kwan Soo. 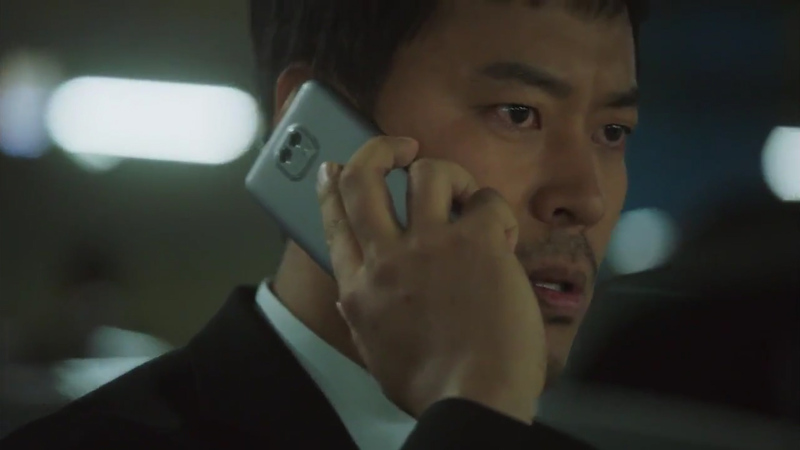 These scenes with the Chief of Police made the president look very suspicious, but we’re hoping he’s only made to look suspicious and the reality is he’s been gathering information to help Choi Yoo Jin all this time and the advice he’s given to attack Park Kwan Soo isn’t a trap to get rid of Kim Je Ha and benefit Park Kwan Soo. Kim Je Ha’s response to Choi Yoo Jin’s display of concern is letting her in on the fact that he’s already deleted the email. When he tells her this, it doesn’t feel like he was suspecting Choi Yoo Jin of being more concerned about the email. It’s like he’s telling her to let her know that should he die, her evil-doings wouldn’t be revealed. He tells her the reason is because he trusts that she’s a woman of her word and will follow through with her promises. It’s hard to tell exactly what’s going through Choi Yoo Jin’s mind, but we’re again hoping it’s made Choi Yoo Jin even more concerned about this mission succeeding, because 1) Park Kwan Soo wouldn’t be a threat anymore and 2) Kim Je Ha would be alive. The episode ends with Kim Je Ha and the JSS offensive team on their way out to carry out the mission. 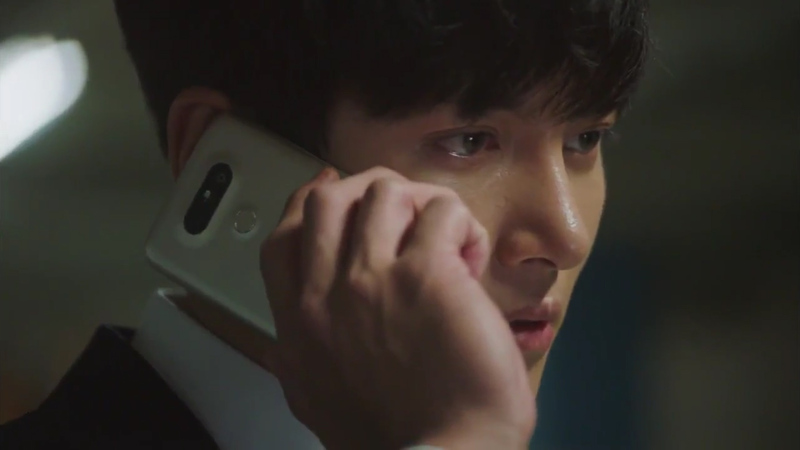 As Kim Je Ha heads out, he receives a call from Ko Anna wanting him to bring back some tteokbokki for her to eat. Kim Je Ha, knowing he might not see her again, makes an excuse about being home very late before attempting to push her towards asking Jang Mi Ran. It was never going to work, because having Kim Je Ha promise means he will make sure he stays alive to bring back tteobokki and be by her side. She persists with him, telling him he must bring it back else she would kill him. No match for Ko Anna, Kim Je Ha gives in. He makes the promise to return to her. 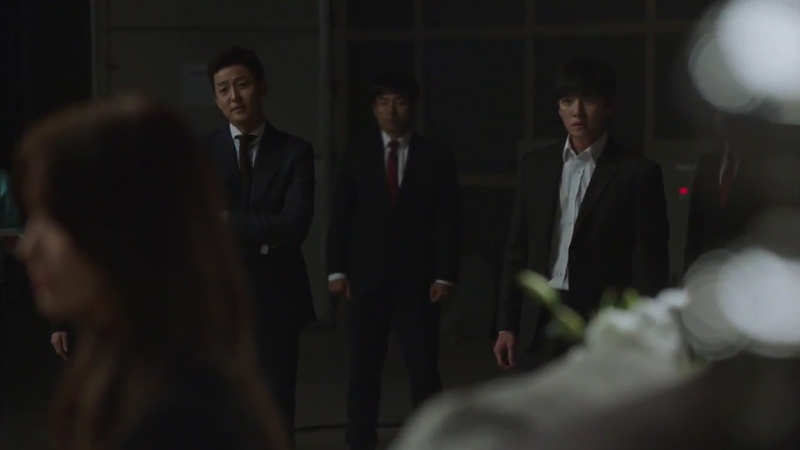 As he makes this promise, in the background, Team Leader Seo is ordered by Chief Kim to take out Kim Je Ha. 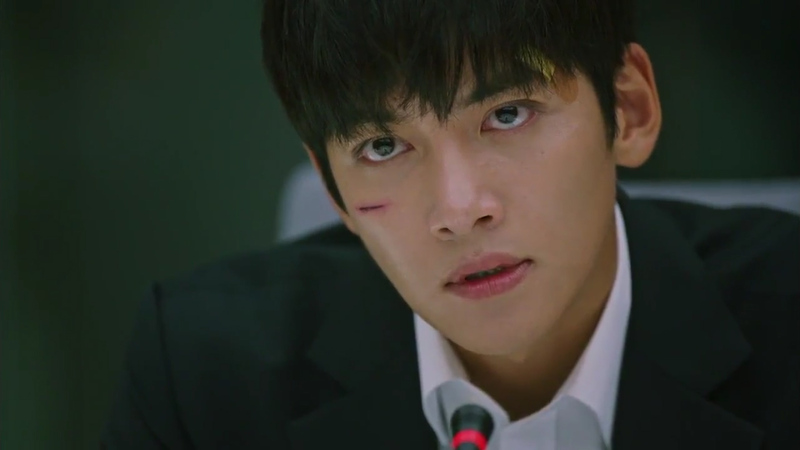 Whether he succeeds or not in killing Park Kwan Soo, Kim Je Ha must be killed. And that’s the end of Episode 10! A good Choi Yoo Jin episode. We really liked the her parts, especially when she’s with Kim Je Ha or the scene is focusing on what she wants to do with Kim Je Ha. They appear to be on the same side, maybe friends even, but then you really can’t be sure. Now that email is said to have been deleted, there’s every chance that Choi Yoo Jin’s gone against her promises, betrayed Kim Je Ha’s trust and ordered Kim Je Ha’s disposal, but we still like to think that she’s didn’t do all that. She can’t give an order like that when Kim Je Ha’s basically offered his life to achieve what she wants. Chief Kim. We’re putting our money on her: she’s acting alone again.